de Groat, Diane. Very Good. Zooman Sam (Sam Krupnik) by Lowry, Lois, 2001-04-26. Trade paperback (US). Glued binding. 160 p. Contains: Illustrations. Sam Krupnik. Intended for a juvenile audience. de Groat, Diane. Good. 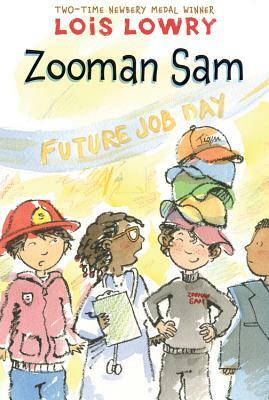 Zooman Sam (Sam Krupnik) by Lowry, Lois, 2001-04-26. Trade paperback (US). Glued binding. 160 p. Contains: Illustrations. Sam Krupnik. Intended for a juvenile audience. Good. RELIABLE library withdrawal in the reinforced cover. Stamped at the page edge with a card pocket and light scuff to the protected cover. This edition is PRESENTABLE!